Major credit card brands represent some of the largest sponsorship spenders in sport and entertainment. For decades, brands like Visa, MasterCard and American Express have made major investments ranging from global sports properties, local festivals, and everything in between. In 2015, it is reported that these three brands spent as much as $170 million USD annually in sponsorship. However, the recent formation of FinTech companies like PayPal or Square, who leverage new technology to change how consumers and local businesses spend, save, and process money, has created an entirely new industry and competition among major credit card companies. In fact, according to an Accenture Study, global investments in FinTech companies grew by over 1000% from 2010-2015, reaching more than $22 billion USD. Often thought of as a commoditized industry, FinTech has created an environment where technology is a competitive differentiator, fueling a race for F.I. brands to “out-innovate” each other. As more emphasis is being placed on technology, there has been a rise in product-based (functional) marketing vs. emotional storytelling. MKTG examines this shift in marketing, and how established credit card brands and emerging FinTech companies leverage sponsorship. Credit card companies like Visa and MasterCard have traditionally distinguished themselves in one of two ways: identifying where their card is accepted, or through a brand story that connects emotionally with consumers. For years, MasterCard has used their long-running “priceless” campaign as a way to demonstrate MasterCard’s brand attributes. Traditionally, spots focused more on celebrating life’s special moments, and less on the product’s features. In 2014, MasterCard introduced the “Priceless Surprises” campaign featuring Justin Timberlake. In the campaign, Timberlake surprises card-holding fans who describe their ideal day with Timberlake. Like many of Mastercard’s campaigns, Priceless Surprises was less about the product itself, but more about what the product enabled. A similar strategy was also used by Visa during their sponsorship of the Olympic Games. Rather than focus on Visa’s products or services, Visa focused on a human story, associating their brand with the international nature of the Games and uniting the world through their “Go World” campaign. In contrast, as emerging start-ups, FinTech companies like PayPal and Square are at an earlier life stage than established credit card companies. Since consumers are less familiar with FinTech brands, sponsorship is leveraged to drive awareness and educate consumers on their product or service. PayPal - One of the most notable companies to emerge from the FinTech industry is PayPal, who, ahead of the 2014 World Cup in Brazil, partnered with Brazilian soccer star Neymar. 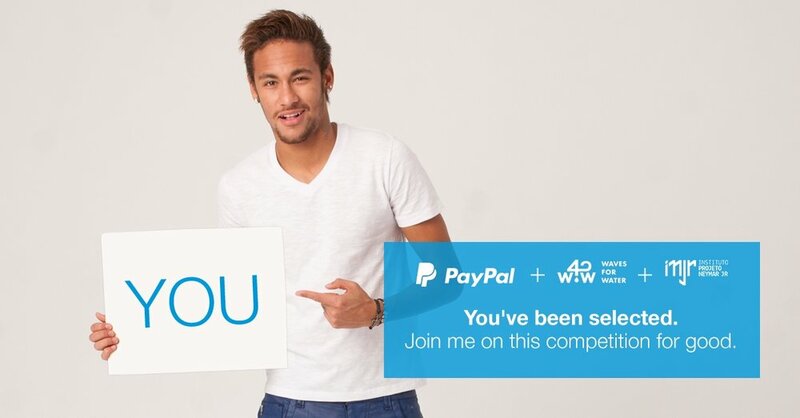 As part of their campaign, PayPal challenged fans from all over the world to determine which country could donate the most to Neymar’s charity, aimed at bringing clean water to Brazil. In order to contribute and participate in the campaign, consumers had to use PayPal, incentivizing a large fan-base to become familiar with the platform. Square – Square is a mobile payment solutions provider, enabling merchants to securely process credit card payments through their mobile phone or tablet. This year, Square became the “Official Point of Sale” of Coachella, marking the first year that tens of thousands of concert-goers could use their credit card at the festival. 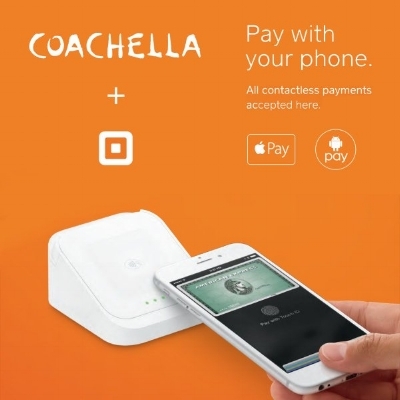 By partnering with Coachella, Square was able to relieve a common pain point for concert-goers, demonstrate the ease of their product, and secure significant branding at one of the most prominent music festivals in the world. A new, emerging market for financial technology has brought with it new marketing opportunities. In order to compete, established companies like Visa and MasterCard have responded by making significant investments in innovation. Today, marketing strategies for major credit card brands focus on innovative features like biometric payment services or facial recognition payment tools. Investments in financial technology has also led to new sponsorship strategies, with a greater focus on educating consumers on new products, and less on brand message. Visa Checkout at TIFF - Visa introduced Visa Checkout in 2013, giving consumers a way to purchase items online without sharing credit card information with the retailer. To demonstrate the new technology, and demonstrate to consumers how this could be the future of payment, Visa created the Connected Car. The Visa Connected Car was an interactive exhibit which allowed users to sit in what Visa envisioned to be the future of driving. The car was equipped with Visa Checkout, allowing drivers to make purchases on items such as gas or food from the car. The Visa Connected Car was on display at a number of events including the 2015 Toronto International Film Festival, of which Visa was a sponsor. Visa leveraged their sponsorship to demonstrate to consumers their commitment to innovation and establish itself as a leader in innovative payment options. American Express & MaRS - This year American Express partnered with Toronto-based innovation hub, MaRS Discovery District. American Express partnered with the Financial Technology department, which is dedicated to developing future technology that will be used in the financial industry. This has allowed them to work closely with emerging Canadian FinTech start-ups, and potentially allow Canadian consumers the opportunity to use new options for financial needs. Through their sponsorship, American Express is granted valuable access to emerging technology related to the financial industry and can secure a first-mover advantage in the FinTech sector. Mastercard & Masters of Code- MasterCard has recently demonstrated their commitment to new technology and has recently dedicated an entire section on their website to how they envision the future of payment. To align with technology and innovation, MasterCard has partnered with Angel Hack, a company that specializes in hosting hackathons - where teams compete to solve a common problem. MasterCard staged the MasterCard’s Masters of Code competition which included 12 events throughout the world. MasterCard invited the best coders, developers, designers, and entrepreneurs compete to create new consumer payment methods featuring MasterCard’s company software. By hosting events like Masters of Code, MasterCard is able to align itself with leading technology and access a large pool of talent that can help MasterCard’s innovation. Sponsorship has a variety of strategic benefits and is never used for a singular purpose. While established brands traditionally use sponsorship to foster relationships and create unique brand experiences, the emergence of a new competitor may cause a major brand to shift its sponsorship approach. As companies and industries change, the primary role of sponsorship may shift over time. The financial industry has seen a growing number of challenger brands in recent years. To combat this, major brands like Visa, MasterCard, and American Express have leveraged sponsorship to demonstrate their commitment to new technology in order to ensure they remain global leaders among challenging FinTech brands.